Valentina Bonizzi | IS IT YOURS? 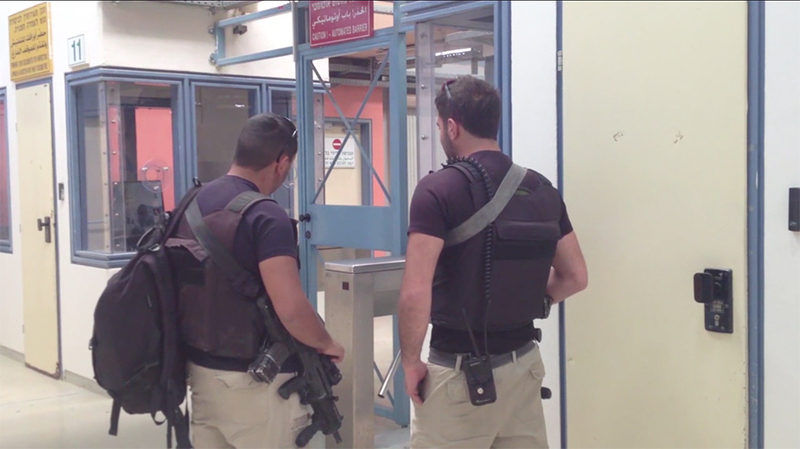 Is it Yours is a short film that watchfully follows a small bird caught in a border patrol facility in Israel. The contrasts are palpable: the slim, darting bird, and the Israeli soldiers who are many times its size and armed with weapons of war. How they respond to the bird indicates how ill prepared they are to deal with a creature who is lost or vulnerable. 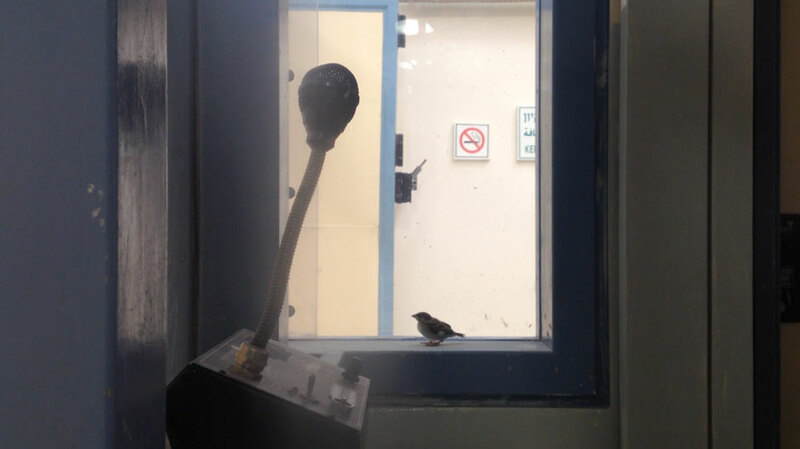 The soldier initially tries to scare the bird away. Then, at the prompting of the filmmaker, he attempts to take the bird in his hands, but he is also afraid, of that small beak and irrepressible winged energy. The film Is it Yours is a study in what it means to be a human being by allowing the viewer to become any of the characters within: to be both equipped to subdue others, including other humans, and to be ignorant of the strategies that will improve the circumstances of these people; to be helpless, beating against a structure one finds oneself enclosed within, with no clear route of escape; and to be the witness who wants to guide the protagonists’ actions so that life can be preserved.